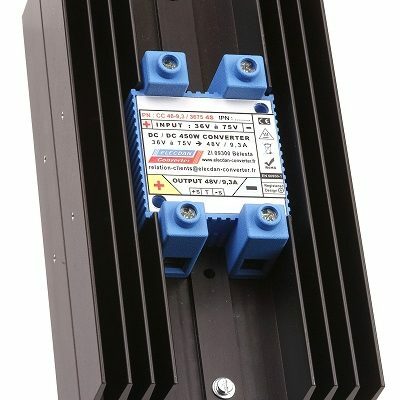 600W DCDC converters. 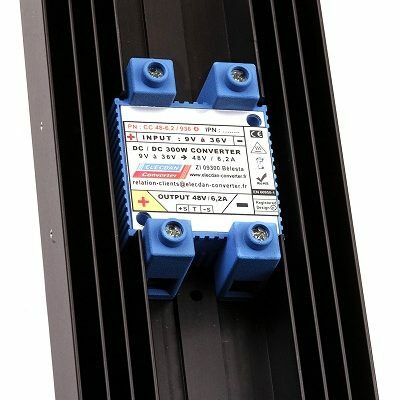 With its optimized shape and volume for efficient natural convection cooling, this case can be mounted on wall (on the side) or on DIN rail (on front or side). Connections are made through 4 streamlined clamps for wires ≤ 72 mm2. 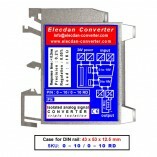 Thermal resistance is 0.5°C/W and can be reduced to 0.25°C/W if required, with optional air flow of 4 m/s. 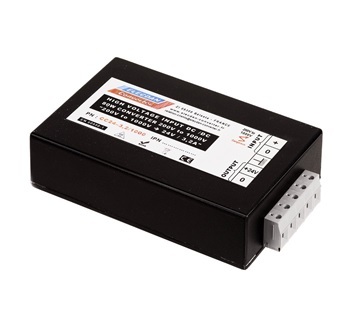 Input voltage Vin: 9V to 36V, 18V to 36V, 18V to 75V, 36V to 75V, 200V to 400V. 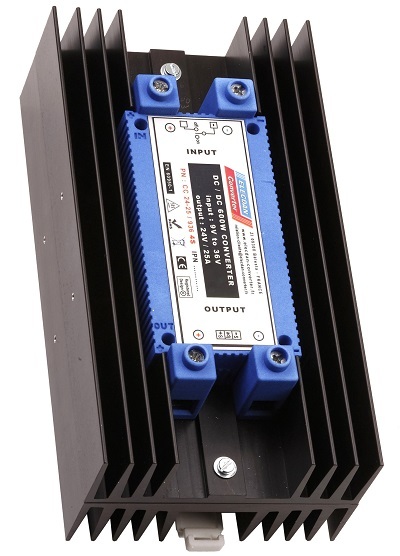 Ouput voltage Vout: 12V, 15V, 24V, 28V, 48V.